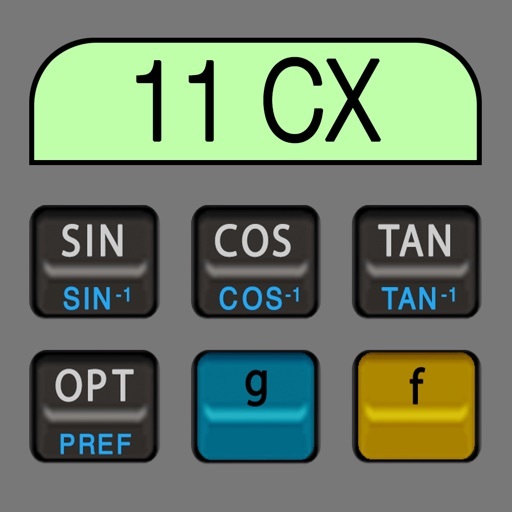 The RLM-11CX is a full simulation of the successful HP-11C Scientific RPN calculator, with all the functions of the real one in a beautiful high definition interface. 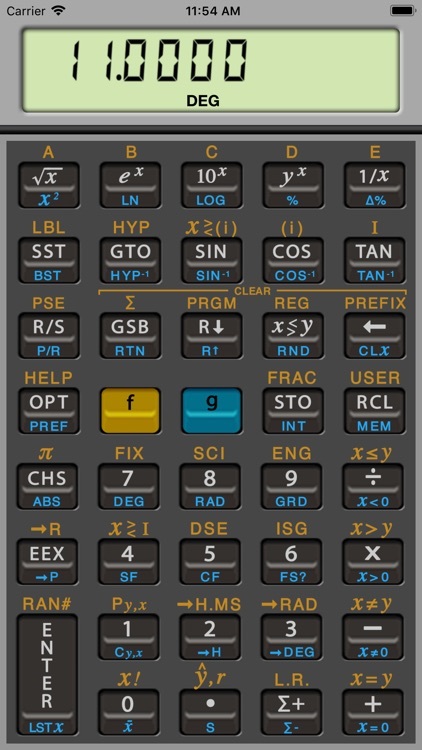 It includes a dynamic Portrait and Landscape orientation layouts that can be lock in the calculator’s preference ([g] > [PREF] key sequence). 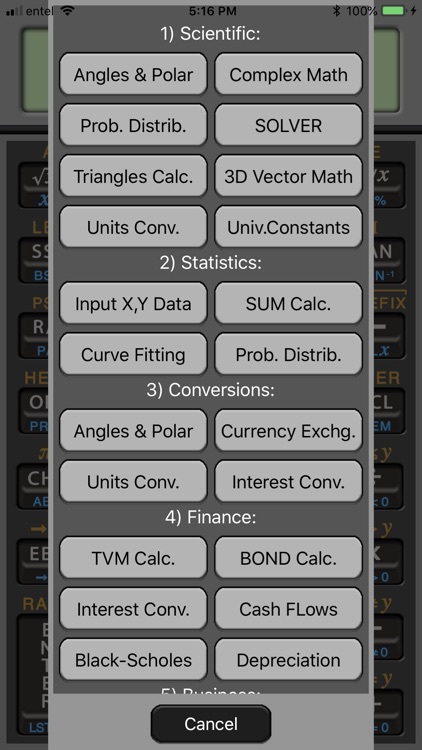 - 3D Vector Math: Operations and functions with three components vectors stack with cartesian, spherical or cylindrical coordinates. - Angles & Polar: Angular conversions units ‘from’ or ’to' Deg, Rad, Grad, degree-minute-second and % slope. 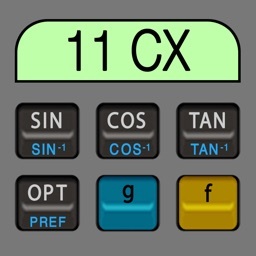 - Complex Math: Operations and functions with complex numbers stack in rectangular or polar coordinates. - Curve Fitting & forecast with 6 regression models using a X,Y data list. 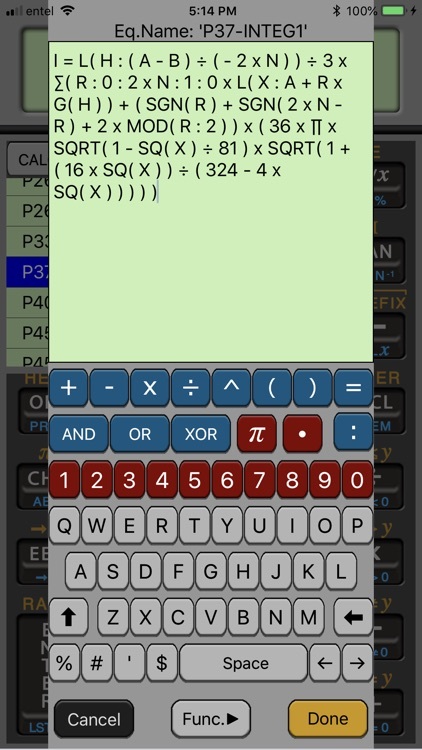 - Equation Solver with editor to enter arbitrary equations and solve for any variable given the others. - Fundamental Universal Constants to enter any of the NIST-CODATA values. 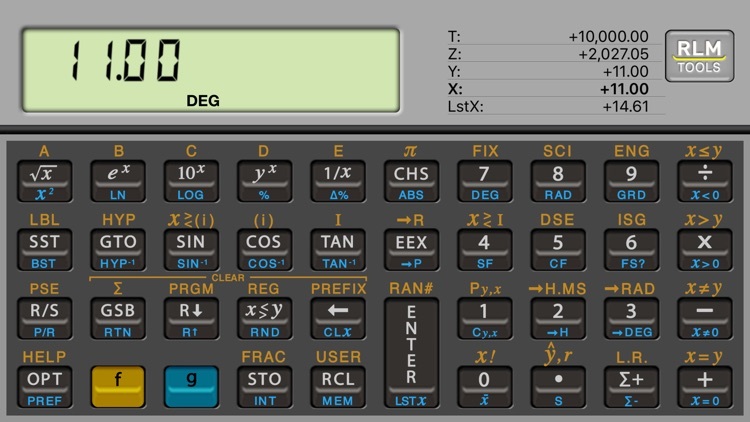 - Plane Triangles solution for ASA, SAS, SSA & SSS calculation modes. - Spherical Triangles solution for AAA, AAS, ASA, SAS, SSA & SSS calculation modes. 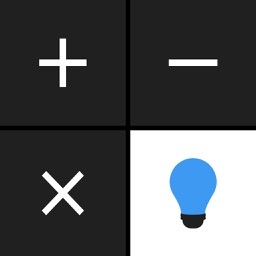 - Units Conversion menu and editor with 10 categories: Adds a powerful and completely editable physical units conversion. 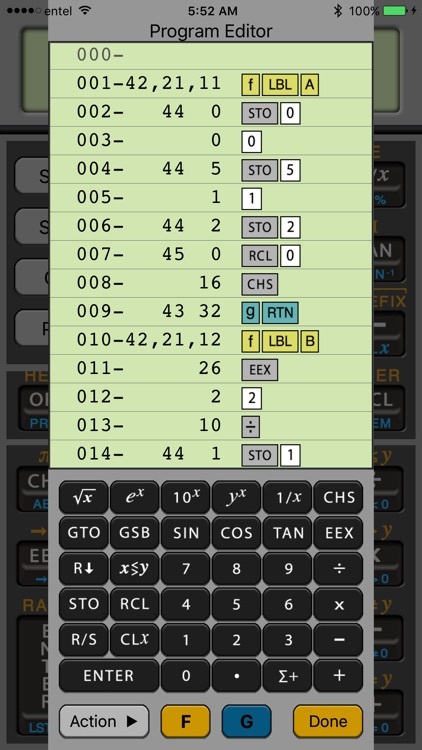 - X-Y Data Editor: Create, Edit, Save & Load statistical X,Y data lists. - Black-Scholes OVM: Calculates “Call” & “Put” options prices of European Options. - Bonds Price & Yield: with Annual or Semiannual coupons and Actual or 30/360 calendars. 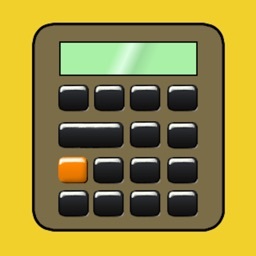 - Cash Flows Calculations: Calculates NPV,i%,IRR%,NFV,MIRR, NUS, etc. over cash flows series. 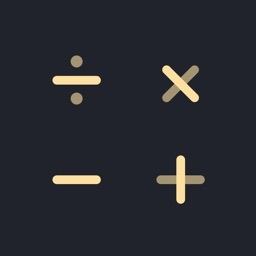 - Cash Flows Editor: Create, Edit, Save & Load cash flows series. - Currency Exchange: All world currencies with actual online rates. - Margins & Break-Even: calculate business margins and production break-even over all variables. - TVM calculations: “Time Value of Money” problems for loans, amortizations, mortgages, etc. 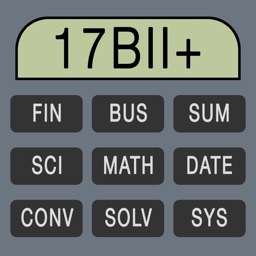 - Tip & Bill Split: Calculates tips over a bill and split the total amount over participants. 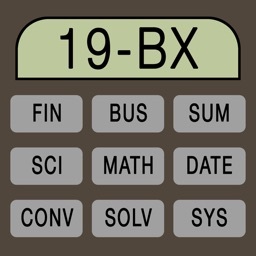 - Date & Time: Perform calculations over date and time variables. - Memory Registers: View All with Backup & Restore through text emails. - Program Editor: Create, Edit, Save & Load programs. - Program Debug: Executes a program step-by-step with Undo. - Settings: Customize many settings, including formats, sounds, interface, etc. - Help Documents: A complete set of short documents with examples of all functionalities.